The ground floor is currently occupied by T. L. K. Edwards & Sons Ltd . The upper floors are ancillary residential benefitting from separate dedicated access. 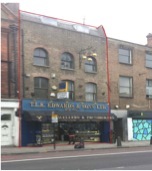 Short Description: The property comprises a brick built mixed use building over ground, first, second & third floors.